Whether you are looking for an affordable honeymoon or a quick romantic getaway in the U.S. or abroad, we’ve put together a list of hotels that are charming, fun and won’t break the bank. All the properties highlighted in the article offer attentive service, romantic accommodations and a diverse choice of things to do. Relax on the beach in the Caribbean, indulge in Pacific Ocean views in California, travel to a secluded spot in Mexico, or go on a longer trip to Europe. With two pools, beach access to Meads Bay, fragrant Mediterranean gardens and a casual poolside bar, Anacaona is perfect for couples looking for an inexpensive beach escape. 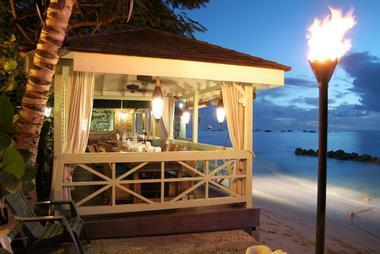 Dine at Fire Fly Restaurant which serves delicious Caribbean cuisine with a twist. Get to know traditional local songs and dances by attending a performance by the Mayoumba Folkloric Theatre accompanied by a Anguillian Buffett at the hotel. The show features traditional costumes and takes place two nights a week. Just outside the hotel, the island of Anguilla is ready to be explored, whether you want to look for that perfect secluded beach, celebrate a festival with the locals or sample more island cuisine. If you are looking for a stylish hotel in the Caribbean, check into the Radisson Grenada Beach Resort. During the day, relax on the 1,200-square-foot white-sand beach or next to the pool with two waterfalls. For active couples, there is a fitness center, tennis courts and an array of watersports. You can take a PADI scuba diving course at the Dive Center, go sailing and kayaking. 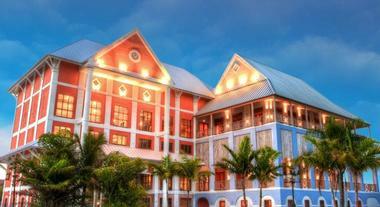 The hotel has 229 guest rooms with private balconies and patios overlooking the ocean. 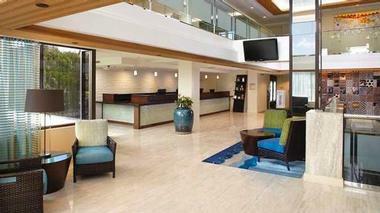 Guest amenities include free wireless Internet access, LCD TV with cable, and a plush pillow-top mattress. Honeymooners can splurge on the Executive Beachfront Suite which has a hammock on the balcony and a separate living area. 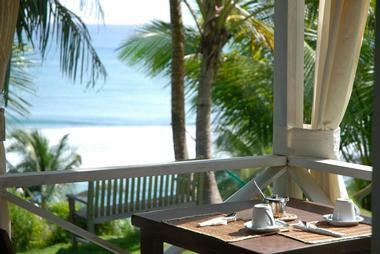 Dining options include restaurants, lounges and bars with views of the gardens and the beach. Rooms at the Radisson Grenada start at $149 per night. If you are looking for a unique destination with protected habitats and spectacular scenery, head to the Outer Hebrides, an island chain off the west coast of mainland Scotland. Stay at the luxury Auberge Carnish on Lewis and enjoy magnificent ocean, river and beach views. The hotel has only five guest rooms, providing couples with quiet ambiance. Go on romantic walks in the hills overlooking the ocean, relax on the beach or curl up with a book next to the wood-burning stove. The gourmet restaurant serves Franco-Hebridean fusion dishes and overlooks Uig Sands. The menu incorporates local island ingredients and changes seasonally. Stornoway is a one-hour flight from Edinburgh and Glasgow, and about three hours from London. Rates at the hotel are very affordable, starting at 60 GBP per person including breakfast. If you are looking for a secluded getaway, visit Ballyvolane House in Southern Ireland for a relaxing break in a calm setting where couples can spend their days fly fishing in the lakes, walking in the woodlands and exploring the gardens. 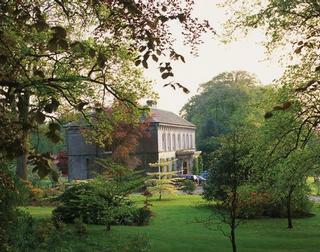 The hotel offers a historic Irish country home setting with affordable luxury guest rooms and warm hospitality. Salmon fishing is available on the river Blackwater and trout fishing can be enjoyed at Ballyvolane'a private lakes. Trout rods and flies are provided to hotel guests. The hotel has six individually furnished guest bedrooms with en-suite bathrooms and antique baths, a great romantic getaway idea. Rolands room features an antique mahogany enclosed bath and the Grans Sitter room offers beautiful views of the gardens. Sample country house-style cuisine with ingredients organically grown on the property or purchased from local farmers. Dinner is a 4-course set menu served at the main dining table. The dining room also offers separate tables for guests who prefer privacy. Afternoon tea, served in the sitting room, in your room or in the garden, includes a selection of loose leaf tea, herbal infusions and homemade cake. The hotel recently started offering stylish tents from May to September, giving you the chance to experience camping surrounded by nature without giving up modern comforts. All of the linens and towels are provided, as well as a camping goodie box. The tents are large enough for you to stand in. For salmon fishing, go between February and the end of September. Easyjet flies to Cork international airport, a 30-minute drive from Ballyvolane. Shannon is two hours away and Dublin is a 3.5-hour drive. 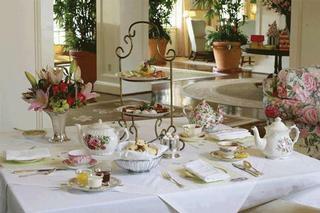 Rates start at 154 Euro, including afternoon tea, a 4-course dinner and breakfast (+353-25-36349). Carolina Inn in Chapel Hill, North Carolina offers couples affordable rates and romantic packages. The "Divine Romance Package" (from $199) includes Deluxe Accommodations for Two, Prosecco and Chocolate-Covered Strawberries, Breakfast for Two Daily in Carolina Crossroads Restaurant, Late Checkout at 2 p.m. and Self-Parking. There is also the "Classic Romance package" which comes with a $50 Gift Card that can be used towards a meal at the award-winning Carolina Crossroads Restaurant. Starting at $209, the package includes deluxe accommodations. The Sea-U! 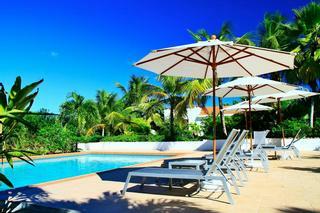 Guest House in Barbados offers travelers a casual beach vacation atmosphere, splendid views and affordable rates. Guests of the Sea-U! Guest House can choose to stay in a studio in the main house or in the cottage. Studios have kitchenettes with refrigerators, coffee makers and electric kettle. 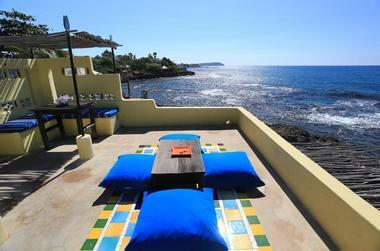 Rooms feature queen or king size beds, dining area and private bath with shower or bathtub, and ocean views. The studios in the cottage have air-conditioning. The hotel has a small restaurant and bar, located in the garden, that serves breakfast and dinner. Breakfast includes homemade banana and coconut bread, eggs any style, cereals, and toast. Dinner is a three-course meal where guests can sit down and meet other travelers on their beach vacation. A beach vacation wouldn't be complete without inviting hammocks in the shade of coconut palms. Watch the waves breaking on huge limestone rocks and feel the ocean breeze. Look for humming birds, lizards, tropical plants and fruit trees. The guest house is located on the East coast of Barbados in the town of Bathsheba, which is a 30-45 minute ride from Bridgetown. Rates start at $144, depending on the season (246-433-9450). The Mendocino Hotel on the coast of California is located in Mendocino Village, next to boutique shops and restaurants. A quick weekend getaway from San Fracisco, the hotel has rooms starting at just $186 per night (for European-Style Rooms with Shared Bath). Rooms with a private bath cost $261 per night. The hotel offers spa services, such as deep tissue massage and warm stone massage. Couples can dine at the hotel's two award-winning restaurants and bars which offer casual, bistro and fine dining. You can dine outdoors on the heated garden terrace with ocean views of order room service. The rates at The Rockhouse hotel in Jamaica are so affordable year-round (room rates start at $125 per night) that a stay at this romantic hotel is a great deal, even if the hotel is not offering a special. Guests are accommodated in thatch-roofed bungalows surrounded by a lush tropical garden. 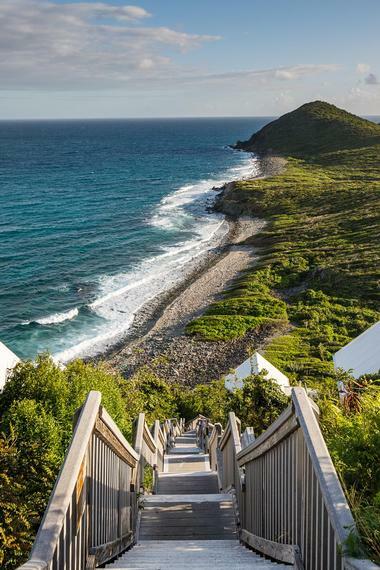 Escape for a few days (or a week) of fun in the sun at this secret Caribbean hideaway. Children under 12 cannot stay here which makes it ideal for couples seeking romance. In addition to the $125 Standard room, several other options are available to couples. Studio rates start at $165 and Villas from $240. Aqua Kauai Beach Resort is an oceanfront getaway in Kauai. The resort has four swimming pools and offers many great activities for vacationers of all ages. 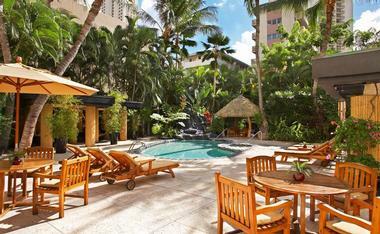 With rates starting at just $117, the hotel is one of the top affordable hotels in Hawaii. Ask for a room or a suite with a view of the ocean so that you can wake up and have coffee with a view of the water on your private terrace. Plantation-style rooms and suites overlook the lagoon, landscaped gardens, pool area, Pacific Ocean or the Kalepa mountain ridges. Naupaka Terrace Restaurant offers an a la carte menu, all-you-can-eat breakfast buffet, seafood and house specialties. The poolside Driftwood Bar and Grille serves light snacks and tropical drinks accompanied by live music entertainment. Hawaiian coffee and an assortment of snack treats can be enjoyed at the Naupaka Cafe. The Shutters Lounge features specialty drinks, wines, draft beer and a variety of light dinner entrees such as appetizers, pizza, salads and burgers with live music in the evenings. The resort has two whirlpool spas and a 24-hour fitness center which offers an array of private health and wellness classes. The nearby Spa and Salon in Lihue offers a menu of massages, body treatments and beauty salon services. The hotel has a complimentary shuttle service to some of the best golf courses nearby. Play on lava rock-lined fairways with soothing ocean breezes and scenic views. Kids love playing with sand and water, so the hotel's beach will be a big draw for your children. The tropical lagoon pool features exotic waterfalls and a 75-foot lava tube water slide. Other family activities include catamaran rides, sailing and ocean adventure. Explore the towering cliffs of Na Pali, grottoes and waterfalls. Professional wedding staff can help you plan a dream event. The hotel offers wedding packages which can be tailored to your wishes. The Oceanfront Oasis offers 26,000 square feet of versatile indoor and outdoor event space, including meeting rooms, ballrooms and romantic garden courtyards. Room rates start at $117 per night. The resort is close to Kauai's Lihue Airport. Check into Hotel Love in Saint Martin and you will be right on a sandy Caribbean beach without breaking the bank. An affordable alternative to more expensive Caribbean hotels, this hotel is a rare find, offering friendly service, delicious food and stylish beachfront accommodations. Doubles start at just 95 Euro (about $130) during the low season, and from 110 Euro during the high season. 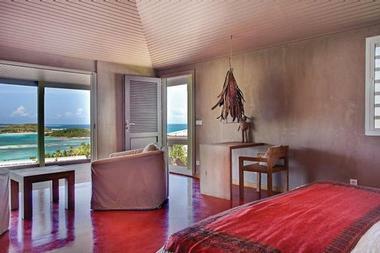 There are seven colonial-style guest rooms and one suite with a private terrace overlooking Anguilla. 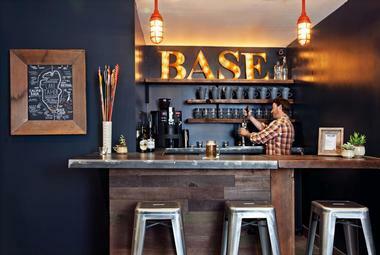 The bar serves delicious eats throughout the day, and offers free Wi-fi internet access. Sunsets are spectacular right from the beach - you can watch them from a plush beach chair or from the beachfront restaurant. The entrance of the hotel is located on Grand Case where you can go for a walk, shop at local shops and eat at a French restaurant (love-sxm.com). With suites starting at just Euro 200, the Karibuni Lodge on the French side of Saint Martin, is an affordable island getaway for couples who want great views, friendly service and a variety of activities. The hotel is elevated above the blue waters of the Caribbean Sea, overlooking the Bay of Cul de Sac and several smaller islands in the distance. Spend your trip exploring sandy beaches, relax on your private terrace with a view and lounge by the pool. For the ultimate indulgence, book the pink suite with its own private pool and terrace, great for honeymooners. Jake's is a unique getaway and, with rates starting at $95 per night, quite affordable. This boutique hotel in Treasure Beach, Jamaica has only 15 cottages furnished in a simple, rustic style. The cottages are private, open and some have decks above the waves, blending with the sky and the Caribbean Sea. Recently, Jake's added a six-bedroom luxury villa to its collection of cottages, complete with a private pool and incredible ocean views. 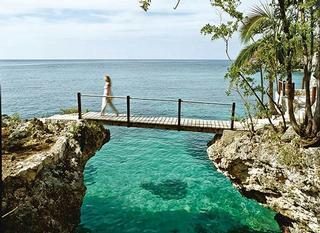 Treasure Beach is a small fishing village on the south coast of Jamaica where you can find privacy and natural beauty. Exotic guest rooms are cooled with ocean breeze and ceiling fans. There is no air conditioning, phones or televisions. If you are planning an Caribbean honeymoon, the hotel also offers Treasure Cot, an air conditioned two bedroom, two bathroom villa. The villa, a five-minute walk from the hotel, includes a housekeeper/cook. The hotel has a saltwater pool and a pool bar run by a native Jamaican who keeps the bar open until the last guest leaves the pool. Located at the entrance to Waikiki on Oahu, DoubleTree by Hilton Alana is not on the beach, but if you are planning to do a lot of shopping, Ala Moana Shopping Center, Hawaii's largest mall is just steps from the hotel. If you are looking for anaffordable place to stay, this hotel is a good option. There is a 24 hours business center, wireless access in the main lobby, mezzanine level and pool areas, and high-speed internet access in many guest rooms, for a fee. Enjoy a fitness center and a heated swimming pool. The last family run hotel in Barbados, the romantic Little Good Harbour offers couples quick access to a beautiful sandy beach, charming suites with four poster beds and an outdoor pool. Garden suite rates start at $261 per night, although they are higher during peak times and during the holidays. 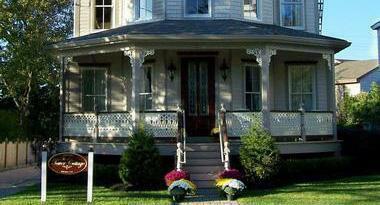 Rates are most affordable from mid-April through the beginning of October. Little Good Harbour recently launched "The Little Spa" which offers massages, pedicures and manicures. Try their "Signature Stress Buster" as soon as you check in an start your romantic trip as relaxed as possible. Located one block from Waikiki Beach on Oahu, Aqua Bamboo and Spa is a stylish hotel offering affordable rates (from $105 per night). Hotel interiors reflect the ancient philosophy of Feng Shui, a calming blend of colors and furniture arrangement. Guests staying at Aqua Bamboo are next to the Royal Hawaiian Shopping Center, International Marketplace and the sandy shore. 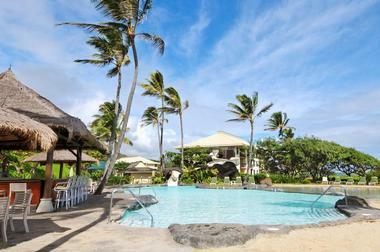 The hotel has a saltwater pool and AquaSPA offering Hawaiian and international treatments. One bedroom and two bedroom suites are available if you need more space. The one bedroom suite has two queen beds, a futon sofa bed, a Kitchenette and a spacious outdoor lanai. The lanai is a fun spot for grilling with the whole family. On the lanai, you will find a gas grill, drink cart and teak furniture, including sofas, coffee table and a dining table. The hotel does not have a restaurant, but there are many excellent choices nearby. Choices include Asian Fusion at Roy's Restaurant, Japanese/Teppan-yaki at Jinroku, staaks at Hy's Steak House and healthy foods at Ruffage Natural Foods. Rooms start at $129 per night. 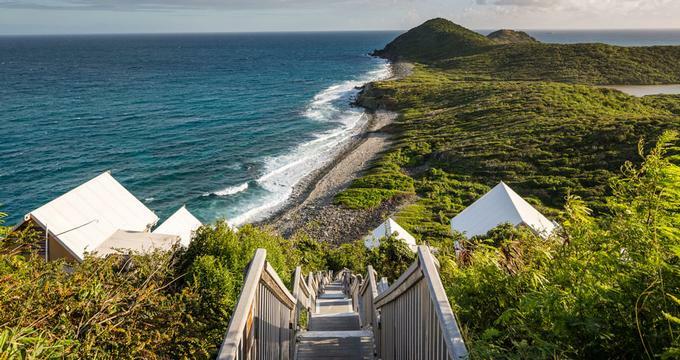 Plan an affordable green vacation to the Concordia Eco-Tents in the US Virgin Islands where you will be surrounded by ocean vistas, sandy beaches and adventure hikes in USVI National park. Concordia Eco-Resort consists of 25 multi-level tents each with a private toilet, shower, kitchen and deck. If your budget is limited, this is a great way to see this incredible destination without breaking the bank. Powered by solar energy, these upscale tents feature running water and a refrigerator. Vacation facilities include a hillside swimming pool, a new cafe and a store where you can purchase your groceries. At night, open the screened windows and breathe the fresh Caribbean air. Nightly rates for each eco tent start at $120 per night in low season, and from $160 in high season (340-693-5855). If you are looking for a hip getaway in London that won't break the bank, try the Zetter, a boutique property created by restaurateurs Michael Benyan and Mark Sainsbury. 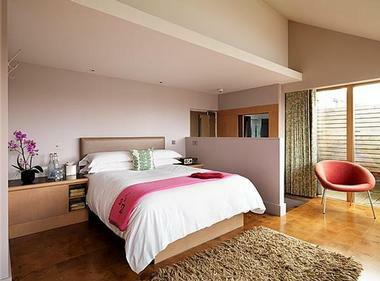 Situated in the trendy Clerkenwell neighborhood, the hip hotel is a 10-minute cab ride from Picadilly Circus. There is a stylish five-story lobby and two private party rooms if you want to arrange a private gathering on your getaway. 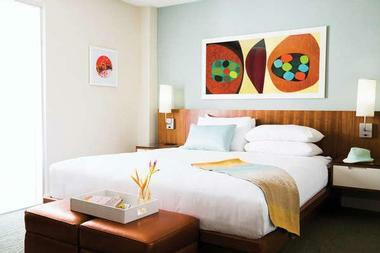 The 59 guest rooms are decorated with contemporary artwork and furniture. Try one of the rooftop studios which have panoramic floor-to-ceiling windows and patios. There is a restaurant and bar, 24-hour room service, and vending machines on guest floors. Room rates start at GBP 155 on weekdays and at GBP 131 on weekends (+44 (0)20 7324 4444). Couples who don't have a car can get to The Tower Cottage Bed and Breakfast in Point Pleasant, New Jersey using NJ Transit. 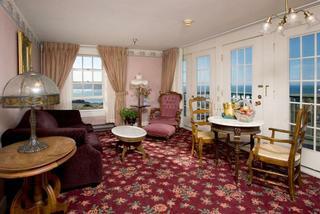 The inn has four rooms and a suite close to the beach. Take a romantic stroll along the mile-long Boardwalk where you can pick up tasty ice cream, popcorn and other treats. Rates start from $275. Tucked away in a protected enclave in Bell Channel Bay, Pelican Bay Hotel is a stylish and sophisticated island getaway. Classic Caribbean decor is echoed in 186 Bahamian-style guest rooms that are bright and cheerful and boast modern amenities, including Nespresso machines, high-speed Wi-Fi, cable TV, and mini-refrigerators and private balconies embrace spectacular views. Soak up the sun at one of three swimming pools, request in-room spa services, or head down to Taino Beach for an array of water sports and activities. Toast the setting sun with colorful cocktails at the bar before dining alfresco-style on freshly caught seafood by the light of soft candles at Sabor. Whether the gentle lapping of the waves draws you to the ocean or the idea of relaxing by the pool with a book is your idea of a perfect holiday, Pelican Bay Hotel will pamper your senses in every way. Rooms start at $132.